I can be useful too. 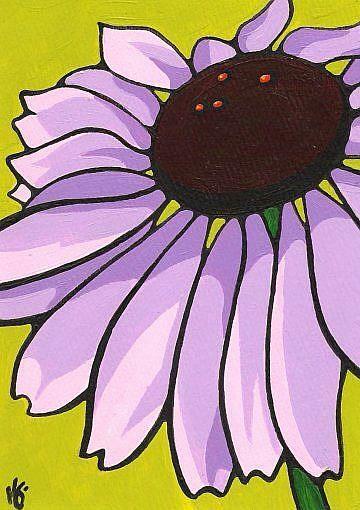 Echinacea is used by many to stimulate thier immune systems and prevent infections. My favorite thing about this flower is the pollen is orange against the brilliant deep purples of the center -it really has a great wow factor. The root seems to be the most benificial part of the plant when it comes to medicinal purposes but I couldn't NOT paint the more beautiful counterpart.